As far as I am concerned (and I have no doubt thousands like me) the roach is one of our brightest stars of the freshwater fishing world. 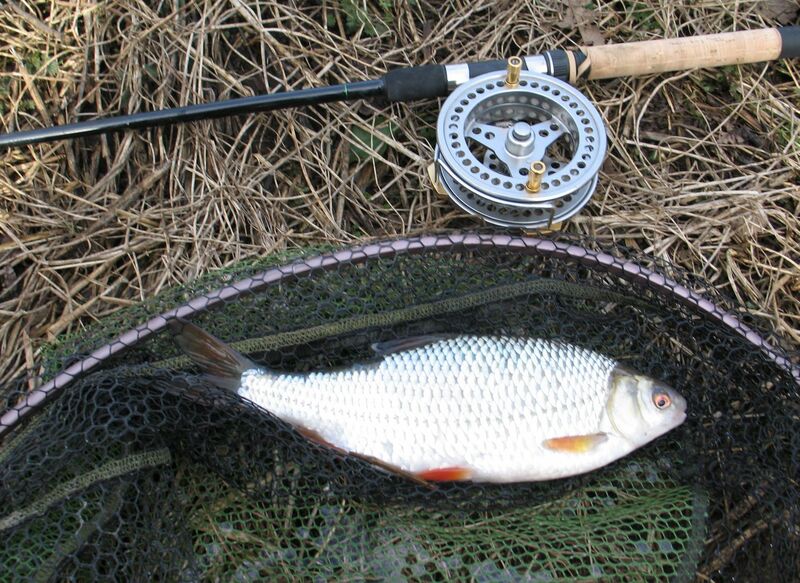 To see that magnificent flash of brilliant silver in a river as a roach fights for freedom sets the pulse racing and that boyhood thrill takes over as you coax another red finned beauty into the waiting net. Perhaps its their shape, or the red fins that capture the angler’s imagination but there really is something quite magical about roach. Of course most of the roach we catch tend to be relatively small, perhaps in the 2-6oz range. So when a better than average fish turns up, it really is that youthful childlike exhilaration that kicks in. Lately some rivers are beginning to throw up some excellent specimen roach again. The Hampshire Avon and the Itchen are both performing well. Often in the winter it tends to be the side streams that produce as the roach seek a safe haven away from the frothing torrent of a flooded river. These side streams gain from having the extra winter levels and offer the winter roach angler an excellent opportunity to trot for these magnificent fish. Geoff and I managed to get out and fish a small Thames tributary recently, one that was known to hold some good roach stocks. It was an overgrown and narrow river, with a mixture of deep glides and bends, shallows and some nice deep pools. There was overhanging trees, rafts and snags galore and plenty of long creases to trot a float down. Sadly the water was heavily coloured when we arrived and the river was pushing through a bit. We also had a sharp frost on the morning we arrived, which left our initial optimism a little deflated. As is often the case with these small and intimate side streams, fishing a long float rod puts you at a distinct disadvantage. With so many tight spots and overhanging trees something a little shorter than the norm can make life so much easier. 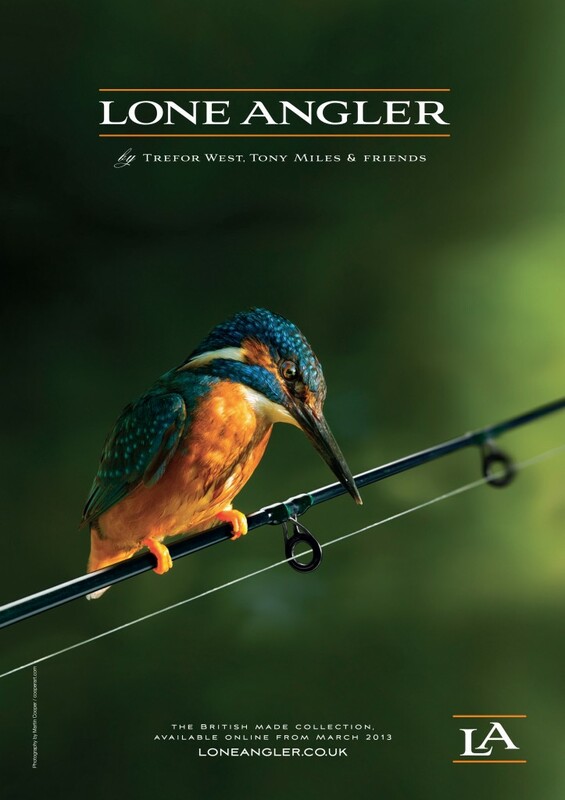 I recently purchased a 10ft float rod (a John Wilson) with lines recommended from 2-4lbs. This seemed ideal for the type of fishing I do and so for the princely sum of £10.50 I was the winning bid on eBay. The rod wasn’t as sensitive as my Drennan but then I didn’t expect it to be. However it was ideal for fishing in these tight spots and I didn’t suffer the normal tangle induced swearing bouts that seem to plague me on these tight venues! A small centrepin with 2.6lb mainline and a 2.4lb hooklength with a 16 hook complemented the rod nicely. When you’re used to handling a 14ft float rod, I have to say these much shorter ones take some getting used to. They just feel a bit odd but it performed well. We opted to fish the lower section first and then work our way back upstream towards the car. The adjacent fields were full of flood water and we had to trudge through thick mud and water to get to the river. The swims towards the lower end proved deeper than expected, with up to 5′ of water and generally a nice pace. There are lots of underwater snags and overhanging trees but despite this some really good trotting spots. I had two baits with me; bread and maggots. I started with a niece piece of punched bread on a 14 hook. After trying a few spots I finally found one of the deeper glides and soon found a nice fish attached to the hook. Sadly it came adrift and after that I couldn’t buy a bite. Geoff on the other hand seemed to be filling his boots. When he wandered down to see what I was up to and have a cuppa, I think he’d had around 9 or 10 roach. I hadn’t actually caught anything yet. “Let me have a try” he says and after just a couple of trots through, he’s in! “Bugger that” I thought and almost pushed him in. I take control of the rod again whilst Geoff drinks his tea but nothing transpires. So Geoff has another go and guess what. Well I’m sure you’ve worked it out, golden whatsits has another roach. With that I banished him from my swim and all subsequent swims in the future. So whilst Geoff continued to catch I eventually found some fish and by lunchtime had 6 to exactly 1lb. They were all beautifully conditioned roach and looked absolutely stunning. Sadly the colour seemed to be getting darker and by mid afternoon we found we were struggling for bites. By now Geoff had caught 16 to my 6, so things were not looking so good for me. However that said we were both over the moon with the quality of the roach and the numbers, especially considering the conditions. We moved upstream some distance and found a couple of nice swims. Time was marching on relentlessly and we only had maybe a couple of hours left. With the sound of Ring Necked Parakeets squawking all around us (and yes, I would like to wring their necks 🙂 ), we continued to fish in earnest. I was in to a roach quite quickly and then it went quiet again. However during the last hour or so the roach went a bit potty. Both Geoff and I were getting lots of action and from some really decent sized fish. Most seemed to be in the 6-12oz bracket, with the odd bigger one thrown in for good measure. As the light faded the rain started and the bites just seemed to dry up. It seemed like a good time to pack up and retire to a coffee shop somewhere. One things for certain; we’ll be back. Hasta la vista baby.